[FS2EU] Free GKash Giveaway !! 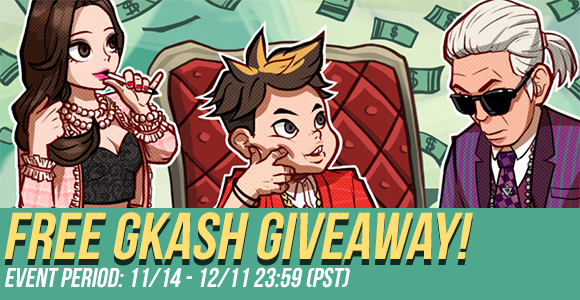 Thread: [FS2EU] Free GKash Giveaway !! Get a chance to win up to 100,000 GKash by just playing a match! 1. Play a match and get a raffle ticket (Maximum of 3 tickets daily). you need 1 ticket to check if you won the raffle. - 100,000 GKash Maximum of 5 winners per day. **Event Gkash from this event will expire on December 11.